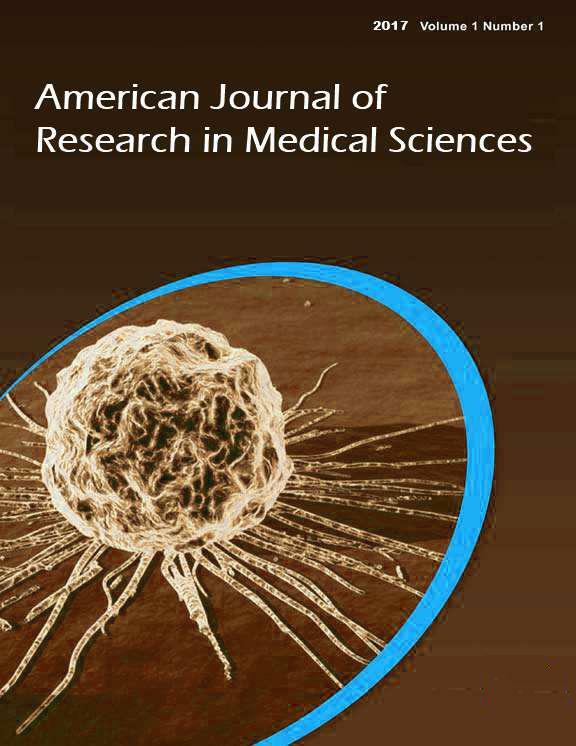 The "American Journal of Research in Medical Sciences" is a peer-reviewed publication, aims to publish all the latest and outstanding research articles, reviews and letters in all areas of medical sciences from molecules to organ systems. Both experimental and clinical research and studies are welcome. By this way, one of the main aims of the journal is to supply original information from bench to bedside. Thus, submitted manuscripts should provide a significant advance to the field supported by evident data. PHYTOCHEMICAL SCREENING AND ANTIMICROBIAL EFFICACY OF THE ROOT BARK OF Securidaca longipedunculata EXTRACTS. EFFECT OF CAMEL MILK ADMINISTRATION ON OXIDATIVE STRESS IN SICKLE CELL ANEMIC PATIENTS. Preventive activities against thrombosis and inflammation of Butea monosperma (Lam.) leaves methanolic extract in vitro model.